Helium is used in liquid form in MRI scanners to cool the magnetic coils which makes them superconductive. However, experts have warned that the world’s supply of helium is due to run out within ten years if it is not reserved for life-saving medical care. MRI scanners contains coils, a powerful magnet and wires that conduct current. Because it requires a great deal of energy to power their large magnetic fields, standard MRI scanners must be super conductive. However, the wires inside the machine need to be reduced to around 0 degrees Celsius which requires the use of liquid helium – a substance which sits at -269.1 degrees Celsius! Newcastle Clinic’s open MRI scanner has a permanent magnet, fortunately, meaning it has a lower field strength and does not require helium. However, most MRI scanners throughout the world are not open, and a majority traditional MRI scanners require helium. 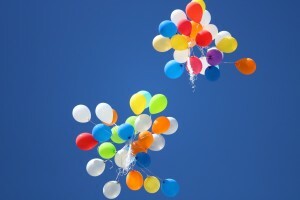 According to David Cole-Hamilton, emeritus professor of chemistry at the University of St Andrews, people should stop buying helium balloons for birthday parties due to a world shortage. This is due to human usage and depleting natural resources. There is no chemical way of manufacturing helium: the natural supplies come from a process involving slow radioactive alpha decay that occurs in rocks. It’s also a non-renewable natural resource. It can be recycled when used for MRI scanning and deep sea diving, but it is wasted when used in helium balloons. Helium has also doubled in price within the last ten years, and increased in cost by 500% over 15 years. MRI is a valuable tool for the healthcare industry and can save lives. Could you help preserve the Earth’s helium supply and decorate your next party with streamers instead of helium balloons? Newcastle Clinic has an open MRI scanner and accepts referrals for patients from anywhere in the UK. Our scanner is much larger than a standard scanner and therefore is more suitable for patients who are claustrophobic, obese, overweight or anxious. Learn more about open MRI scanning here.